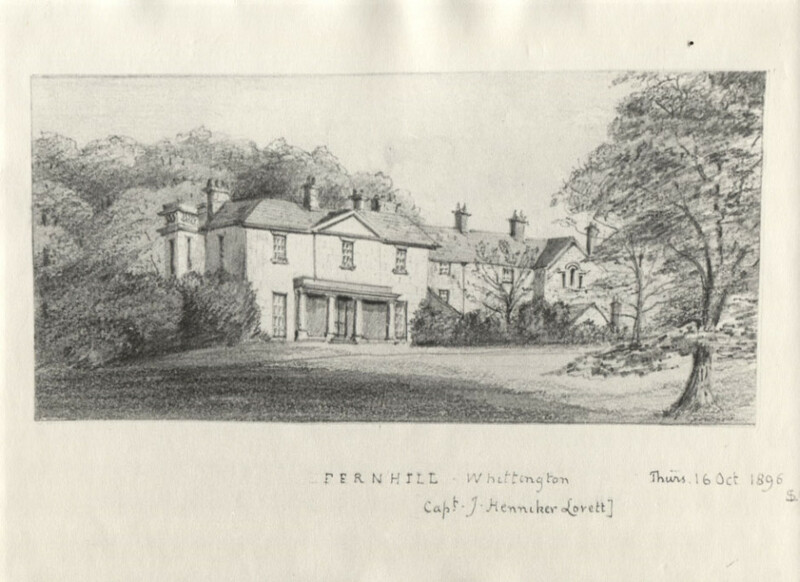 The grand-father of the present owner, acquired Fernhill in 1825. from Mr. Lloyd of Aston. It stands in well-wooded grounds, and commands fine views of Chirkland. There are here eight chairs and one sofa, covered with the finest tapestry of the earliest Gobelin manufacture. There is also some good china. Sevres and Dresden. and one Gainsborough, and one Rommey. The Shropshire family of Lovett claim to be a branch of the ancient family of Lovett of Liscombe, in Buckinghamshire.